It was now time to look at each of his symbols and ask him what metaphoric associations they might have for him. The best way to initiate this kind of thoughtful examination is to offer some sort of neutral prompt. I usually start with, “Tell me about it.” If that doesn’t yield a metaphoric description, then I will gently probe further. But it is absolutely vital that the association be his and not be influenced by my own opinions or thoughts. Being a social worker, he understood the process and needed very little help. * Out for the evening: Recreation. * My wife: My partner in life, the one I am most intimate with and share the most with. * Entrance: The way in. * Nice restaurant: A place to get tasteful, nutritious nourishment in a lovely atmosphere—to be pampered. * Upstairs on the second Floor: It’s at a higher level and gives the impression of being more exclusive. 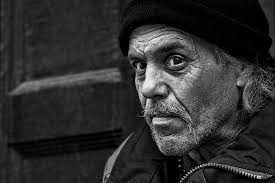 * Homeless man: Someone whose life has veered in a direction that is usually not constructive. Sometimes this is the result of circumstances, sometimes the result of his own decision making. * Stands in our way: Obstructing our path to our destination. * Belligerent: Aggressively contrary and threatening. * Protective male instincts: I will defend those whom I hold most dear. I will not allow my wife to be put in danger. * Grab him by the collar: The most vulnerable and easiest-to-manipulate place on his body. * Throw him down the stairs: My purpose is to remove him and put my wife out of danger. But my action is excessive. * Lying unconscious and bleeding: I have gravely injured him which was not my intention. * Running from the scene: I panic. Especially for someone in my field, I have committed an unspeakable act. * Driving away: Trying to leave and hide so that I won’t get caught. * Back, unpaved country roads: Uninhabited areas. Rural. Wilderness. * See out the windshield into murky darkness: I can’t really tell where I’m going because there is no light. * Fear and an adrenaline rush: More panic, knowing I have done something horrible. * Hospital: A place of healing and fighting physical disease and ailments. * I-V tube: Giving nourishment and medicine. * Cleaned up and shaven: Taken care of, no longer neglected. * Hospital gown: Cleanly dressed and attended to. * Hopeful: If he gets better, then what I did won’t be considered so horrible. * Guilty and ashamed: I set aside all of my principles and beliefs and did harm. I am mortified and not pleased with myself. Try going through the above section, reading only the dreamer’s responses. See if some dominant themes don’t make themselves apparent. This is a powerful dream about overreacting to an inner psychological obstruction. We’ll take a closer look on Friday.